Beginning summer 2019 Blacksford is offering a flexible option to owning the ever-demanded Winnebago Revel. With the fully re-designed 2020 Revel, Blacksford is offering a 4, 6 or 12 month lease starting at $2,000 per month. “Owning isn’t in the cards for everyone and that is becoming especially apparent in the RV industry when trying to serve the next generation with only traditional purchase options. They are completely missing the boat of when millenials and baby boomers don’t want to own a RV. We decided to open the market of overland adventures to a whole new market that just wants to use the Revel for peak season without any further financial responsibility. We are lucky enough to have our order in for a good number of brand new 2020 Revels for delivery in July and I am beyond happy to allow some of them to go out to our new SeasonaLease program,” Distad, Blacksford CEO says. Blacksford offers super simple paperwork, a $500 Delta credit to pick up you Revel in Bozeman, Montana, generous mileage allowance and much more. 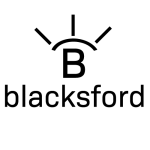 With limited supply, Blacksford is currently taking down payments to hold the units and expects to fill their allotment in the next few weeks. “For most of America there are 4 to 6 months of peak travel time and we make it accessible to everyone who wants to experience it off the beaten path in the amazing four-wheel-drive Winnebago Revel. We are the world’s first RV rental company to be based out of an airport and we feel that this adds to our mission on delivering the best RV vacation experience,” Distad commented. Located in Bozeman, Montana, Blacksford is a technology-based, customer-focused RV rental business located exclusively at the Bozeman Yellowstone International Airport providing the highest quality Winnebago RVs with a unique all-inclusive pricing model that includes unlimited miles, fully stocked vehicles, WiFi via Verizon Connect and more. Winnebago Industries, Inc. is a leading U.S. manufacturer of outdoor lifestyle products under the Winnebago, Grand Design and Chris-Craft brands, which are used primarily in leisure travel and outdoor recreation activities. The Company builds quality motorhomes, travel trailers, fifth wheel products and boats. Winnebago Industries has multiple facilities in Iowa, Indiana, Oregon, Minnesota and Florida. The Company’s common stock is listed on the New York Stock Exchange and traded under the symbol WGO. Options for the Company’s common stock are traded on the Chicago Board Options Exchange.